Ask The Guides — Only $5 a question!! I am looking to be in a relationship. How soon will this happen? What can I do to help it happen? My boss at work is difficult. Is there a better way for me to interact with him/her? Why does he/she say such-and-such to me? 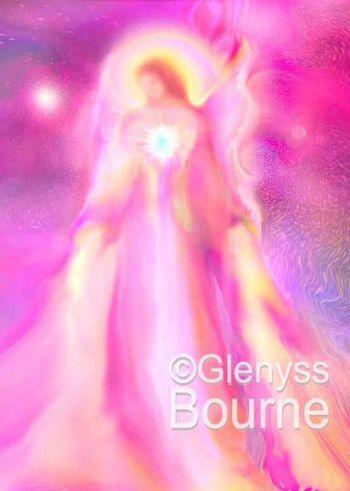 My guides can answer questions for you because all beings are instantly and immediately interconnected. By asking a question the information for your highest good can be instantly seen, known, understood and communicated. A person is usually laying down or sitting in a chair when receiving the energy healing of reiki. The practitioner lays their hands either directly on the body or just above it. 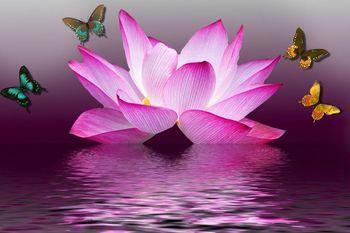 Reiki can also be transmitted long distances, this is called a remote or distance treatment. 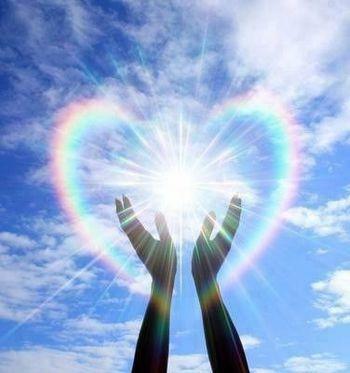 The healing energy of reiki can help to resolve conflicts, improve relationships and to attract desirable outcomes. Reiki is a safe complement to Western Medicine, Chinese Medicine, and all other forms of healing. For people or animals who are dying, the healing energy of reiki is a powerful yet gentle way to provide comfort, relief from pain, fear, and anxiety, and to ease the transition to death. 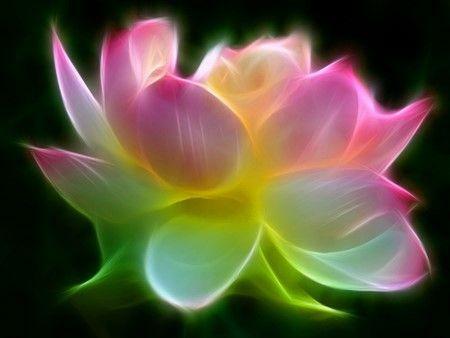 There is no belief system attached to reiki. 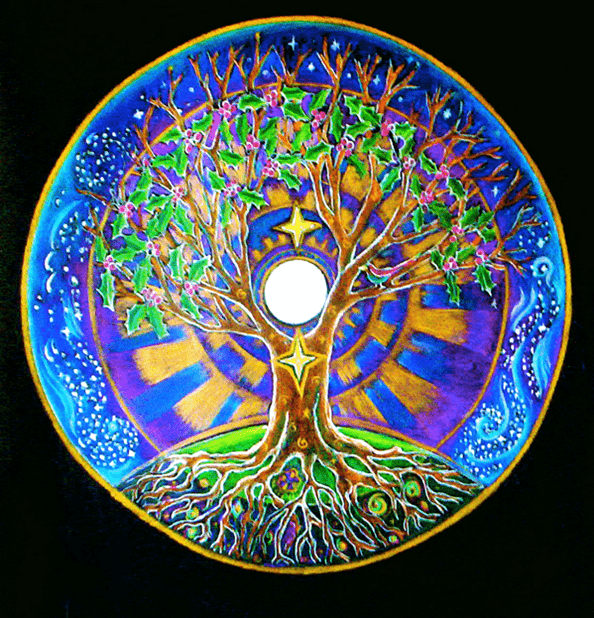 The only prerequisite is the desire to be healed and/or to share energy healing with others. Set up a reiki session! How does Tong Ren help with so many health concerns? Tong Ren focuses on removing blockages in the physical and energy body, when they are cleared the body can restore balance and heal itself. What is it like to experience Tong Ren? The most common experience is relaxation; most people leave feeling calm, refreshed and experiencing less pain or discomfort. Additionally, during a session people may feel hot, tingling, and/or a sensation of energy moving to different places in the body. Some people fall asleep. Occasionally a person feels nothing at all during the session only to realize the effect later. The first time I went to a Tong Ren class I felt like I received an enormous infusion of oxygen in my lungs. After a lifetime of chronic asthma that at times was barely under control with multiple medications and inhalers, this was like a miracle to me. Suffice to say I was sold and continued to attend Tong Ren classes for a variety of health concerns – physical and emotional, eventually becoming a practitioner myself. Is everyone healed from Tong Ren? Some people experience immediate and full cessation of illness/symptoms from only one session. Amazing but true. Others reach a full recovery after several or many sessions. Some people feel better, have less symptoms and need less or no other treatment or medication, but may continue to experience some symptoms. A small number of people seem to not respond to Tong Ren. Tom Tam and others continue to research and try new approaches so that all people can have positive healing outcomes. 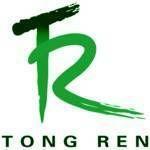 The Tong Ren Healing system was created by Tom Tam through intense studies and clinical practice. Tong Ren integrates the western understanding of anatomy, physiology and diagnosis with the energetic aspect of Traditional Chinese Medicine. Tong ren restores health and vitality by removing blockages of the natural flow of chi, neural bioelectricity, blood or hormones. A small human anatomical model, or doll is used to represent people (and animals) on which the practitioner taps on targeted points with a lightweight magnetic hammer. Each issue or ailment has a combination of points that through trial and error and understanding of anatomy, physiology and energy meridians has proven to be effective for that issue or ailment. 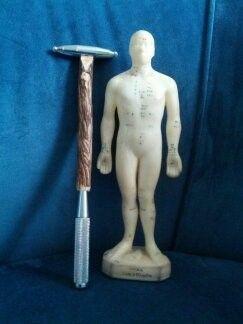 Some people benefit from hands-on treatments in addition to the doll and tapping. I offer Tuina massage in the Tong Ren style. I am a Certified Tong Ren Practitioner and also offer Tuina massage in the Tong Ren style. Flower essence therapy is vibrational medicine that embodies the distinct imprint, or energetic pattern within living organisms such as plants, gemstones and crystals, water, sunlight, and even the foods we eat. Flower essences are often prepared by placing the blossoms of plants or crystals in a sun infused bowl of water over; after some hours the mixture is further diluted, potentized, and preserved with brandy or vinegar. What can Flower Essences help with? Flower essences treat the underlying emotional causes of diseases; a few essences directly treat physical ailments. They can also help us to open spiritually and to tune into our highest calling. Flower essences help to repair negative electrical patterns and emotional imbalances in people and animals. Decide what you would like to work on. We talk or you email me. Then I intuitively pick essences that are right for you, usually 4-8 essences. I put the mixture in a 1 ounce bottle and fill the rest of it with pure water and some brandy to keep them fresh. That is all there is to it! 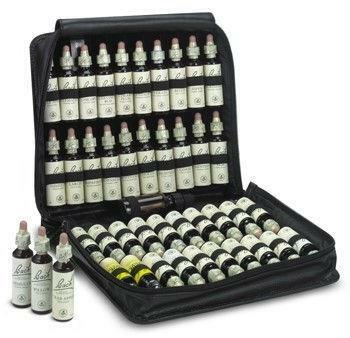 I will provide you with description of each of the essences in your bottle and how many drops per day you need to take. You can also add drops to your water bottle or drinking glass and sip from it throughout the day. Why I am a fan of flower essences? I started using flower essences 15 years ago when my sister, Dr. Debra Glasser, an internist in Oregon, added them to her integrative medicine practice. Debra provided me with specially formulated mixtures and I have used them on and off for years to help me get through life transitions and a variety of emotional, spiritual or physical challenges. The most common questions people ask relate to relationships, love, work/career, health and lifestyle. I am a Certified Angel Card Reader. 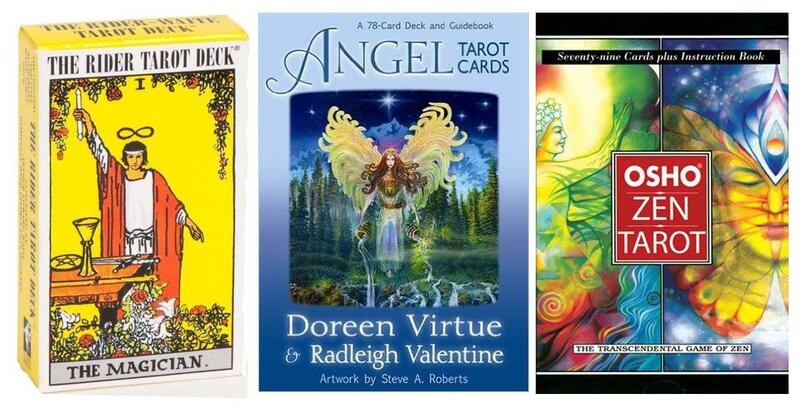 Trained by the angel communicator and author Doreen Virtue and her oracle card partner Rodney Valentine. Three card one deck reading only $5! Click here to have a reading! 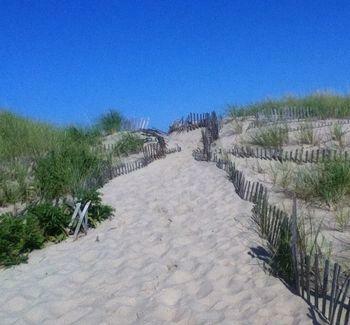 Today it is possible for anyone with a desire to do so to journey. No special knowledge or training is necessary, only a desire to open to the process and see what you will find. 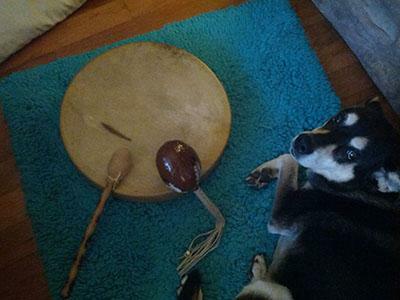 I lead journeys using a drum and rattles. A person’s first journey is often focused on meeting their main spirit guide. Journeying can be a very expanding experience as you get to know realms and beings who are here to work with you. Learning how the unseen realm can benefit you, your family and community can be an enriching, healing, and spiritual experience. 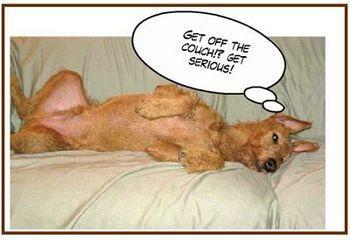 We can have meaningful communications with our animals! Animals communicate through telepathy. They communicate using words, pictures, feelings, thoughts, and/or emotions. Some animals are very talkative and easy to understand, others will communicate with pictures or feelings but not words. As humans, we learn to rely on verbal communication and our telepathic skills are pushed aside and become rusty. Like a muscle, unless used regularly, these skills become weak and inefficient. Humans, given the proper mindset and training, have the ability to communicate telepathically with all species. We can meet in person or send me a picture of your pet/animal looking into the camera. We can discuss what questions you would like answered in person, via email or by telephone. To find out the reason behind undesirable behavior. To inquire about how their body feels, where they are sore. This can be used to assist your veterinarian. (Animal Communicators do not replace good Veterinary care). To find out what their life purpose is. 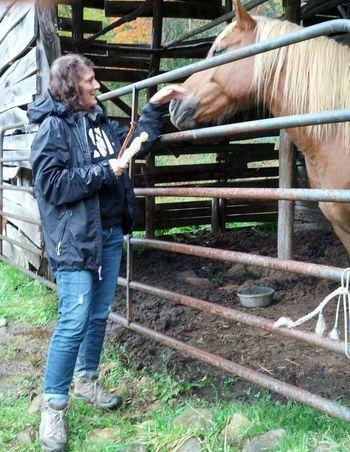 To find out if they like their food, saddle, blanket, barn, kennel, sitter, trainer, showing…etc. To find out if the horse/dog you want to buy enjoys the type of riding/competing/lifestyle you need. Help finding a lost animal. An owner’s two cats where fighting and he wanted to know why. I first talked to the female cat. I began by introducing myself to them both – I was there in person – and I could see both cats doing a double take to each other, saying “Did she just talk to us? !” 🙂 First I asked the female cat what the fighting was about. I didn’t know who was causing it. She used words and said she didn’t know why he was attacking her but she didn’t like it. I saw a picture of how the male cat was bothering her. Then I spoke to the male cat. He said he sometimes felt frustrated and he would act it out on her. I asked him why he became frustrated; and I felt that if he wasn’t getting enough pets and attention from his people. Animals, like people, are unique and have different needs. The female cat was getting her needs met, the male needed a little more attention. The owner wanted to know how his dog could feel more secure and less nervous. I kept seeing a picture of the kitchen and then a dog bed there. 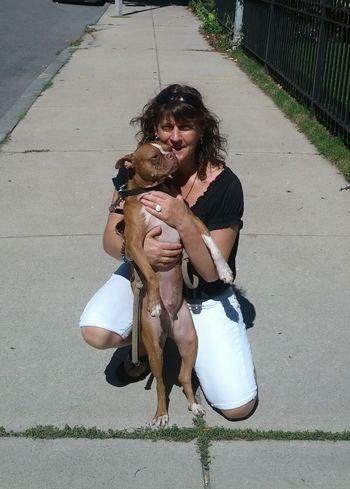 This dog communicated through picture and sensations. He was saying that a bed in the center/ hearth of the house would help him feel more a member of the household. This dog could sleep anywhere – the bed, couches – but for some reason the kitchen was where he wanted to feel a part of things. In addition, he felt a bit adrift as a pet sitting around all day with nothing to do. As a smart working breed he needed a purpose, like a job. 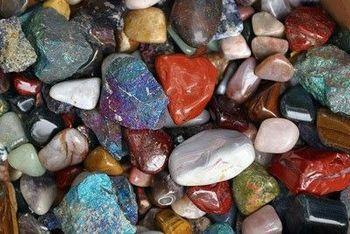 Also called the rock people, they can help with everything from physical and emotional health challenges to spiritual awakening and increased intuitive abilities. 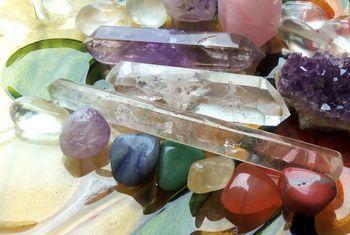 Crystals love to be of assistance and I often use them when connecting with universal healing energy and the spirit realm. 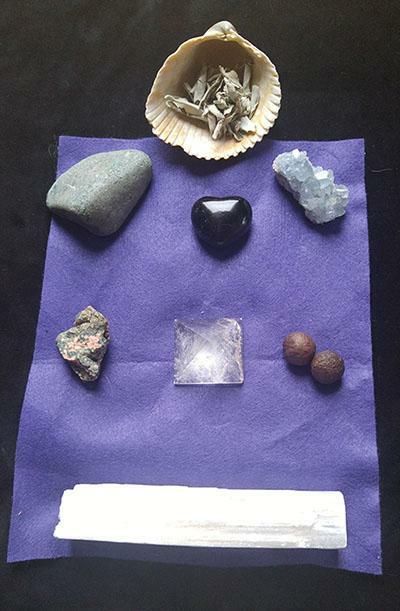 Often different crystals will pop into my mind when I am going on a shamanic drum journey, offering reiki, and/or doing an animal communication. This is their way of saying they want to help and will help support my intention and goals. Other times I will look at my collection and see which ones I feel drawn to and/or I choose some because of their particular purpose. For example rose quartz is great for soft loving support and emotional healing and black tourmaline is great for grounding, protection and clearing. Wouldn’t you like to learn practices that empower you for healing? That is what driver’s seat healing is about. and feels greater peace and improved physical, emotional and spiritual health. Shamanic journey to the spirit world. Meet your guides and more. 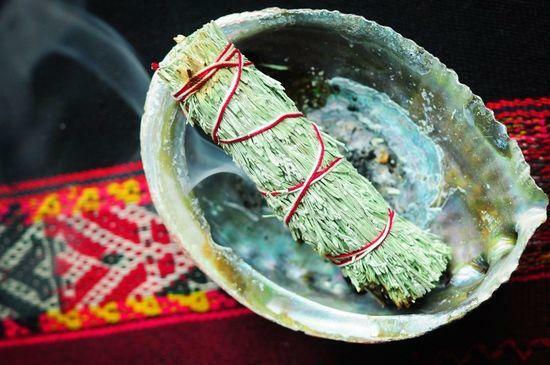 Shamanic journeying for healing. Tong Ren – learn the basics to treat yourself! Learn the Tai Chi Dao Yin – a routine by Chi Gong Master Tom Tam. Hand placements for easing of fear, anger, shame, more ease, love and being to your body. A supportive community! My goal is to provide avenues to connect with others on this healing path. Approx. $40 per hour. May vary depending on the item. Discounts available for multiple sessions and/or adding in healing sessions! 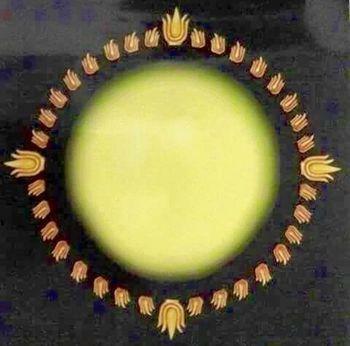 I offer oneness deeksha, also called oneness blessing. A oneness blessings takes between 1-3 minutes to give/receive. It is a transfer of powerful Divine energies that initiates a journey into higher states of consciousness. It is non-denominational and for people of all faiths and beliefs. The blessing is believed to affect the different lobes of the physical brain, thereby reducing stress levels and intensifying the levels of love, joy and awareness. Millions across the globe testify to the calming of the mind, flowering of the heart, and awakening effects of the oneness deeksha, which is now gaining recognition as one of the easiest and most effective approaches to enriching human consciousness. Oneness is a spiritual organization founded by Sri Amma Bhagavan that seeks to alleviate human suffering at its roots by awakening humanity into oneness, wherein every individual feels connected to all that is. The central teaching of Oneness is that inner transformation and awakening into higher states of consciousness is not an outcome of a mere intellectual understanding but a neurobiological process in the brain, whereby one’s experience of life is redefined at its core. Oneness is about becoming a truly happy person and fully engaging in life. I love offering oneness blessings! They can be offered in person or distant. I am happy to add them onto any other service at no extra cost. 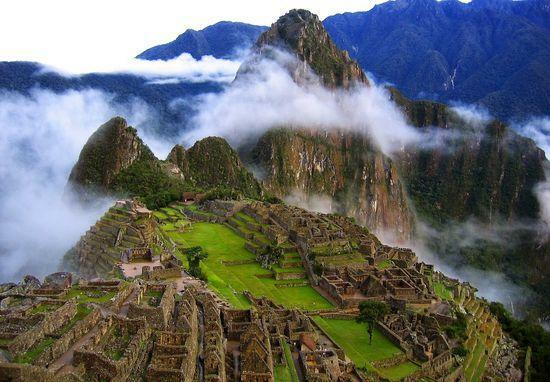 The rites of the Munay-Ki were brought to the West by Dr. Alberto Villoldo, distilled from his work as a medical anthropologist with the high shamans of the Amazon and Andes. “Munay” in Quechua means “love and will”, together with “ki”, from the Japanese word for energy, combine to give the meaning: energy of love. The Munay-Ki is a modern form of transmitting the initiation empowerments of the Q’ero, and are based on the traditional initiation ceremonies of Q’ero shamans. They are always offered free of charge. The Rites can be offered one on one or to a group of people. Gather a few of your friends together and we’ll have a Rites ceremony!